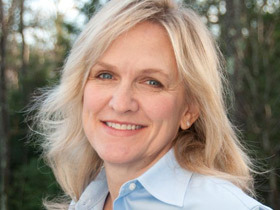 As teacher, author, and advocate, Penny Kittle is dedicated to helping students and teachers develop a passion for reading and writing. Penny Kittle teaches freshman composition at Plymouth State University in New Hampshire. She was a teacher and literacy coach in public schools for 34 years, 21 of those spent at Kennett High School in North Conway. She is the co-author of 180 Days with Kelly Gallagher, and is the author of Book Love, and Write Beside Them, which won the James Britton award. She also co-authored two books with her mentor, Don Graves, and co-edited (with Tom Newkirk) a collection of Graves’ work, Children Want to Write. She is the president of the Book Love Foundation and was given the Exemplary Leader Award from NCTE’s Conference on English Leadership. In the summer Penny teaches graduate students at the University of New Hampshire Literacy Institutes. Throughout the year, she travels across the U.S. and Canada (and once in awhile quite a bit farther) speaking to teachers about empowering students through independence in literacy. She believes in curiosity, engagement, and deep thinking in schools for both students and their teachers. Penny stands on the shoulders of her mentors, the Dons (Murray & Graves), and the Toms (Newkirk & Romano), in her belief that intentional teaching in a reading and writing workshop brings the greatest student investment and learning in a classroom. Penny is the author of 180 Days: Two Teachers and the Quest to Engage and Empower Adolescents (coauthored with Kelly Gallagher), Book Love: Developing Depth, Stamina, and Passion in Adolescent Readers, Write Beside Them: risk, voice, and clarity in high school writing; and most recently, 180 Days: Two Teachers and the Quest to Engage and Empower Adolescents, co-authored with Kelly Gallagher; Inside Writing: how to teach the details of craft & My Quick Writes (co-authored with her mentor and friend, Donald H. Graves), The Greatest Catch: a life in teaching, and Public Teaching: one kid at a time. She co-edited (with Tom Newkirk) a collection of Don Graves’ work, Children Want to Write: Don Graves and the Revolution in Children's Writing. She was a columnist for Voices from the Middle, an NCTE publication, for six years. Penny’s writing has been featured in ASCD’s Educational Leadership, The Colorado Reading Council Journal, The Manitoba ASCD Journal, The Journal of the Colorado Language Arts Society, California English, Scholastic, and Ohio State University’s Adolescent Literacy in Perspective Journal. In 2009, Penny received the James N. Britton award from the Conference on English Education, National Council of Teachers of English for Write Beside Them. In 2012 Penny and her husband founded the Book Love Foundation, a 5013c non-profit foundation with one goal: to put books in the hands of teenagers. As budgets have shrunk across America, books and libraries and school librarians have been cut in far too many schools. Books can have an incredible effect on children’s lives, yet there is only one book for every 300 kids living in underserved communities in the U.S.
Penny believes every child in America needs access to books that will keep them turning pages, racing to the end, discovering new ideas and learning to understand the diversity in our world. She believes all children deserve books they can and will want to read and teachers that will guide them to improve as readers. We need access to books from every corner of the world and from every field of study. Students should have access to all the current award winners in literature and to the wide range of genres they will read in the future. Every classroom should have hundreds of books to inspire curiosity, hope, and vision for the future. The Book Love Foundation is passionately committed to teachers who aim instruction towards increasing volume, stamina, and joy in reading in middle and high school. Every classroom should be a celebration of reading. We need a book for every reader, recommended by readers, and shelved by interests to invite browsing. Each year the Board of Directors funds as many starter libraries of 500 highly engaging books for teenagers as possible. The foundation's partners, Heinemann Publishing and Book Source, have each agreed to fund one library each year. Since 2013 the Book Love Foundation has funded 120 classroom libraries. Its vision is to change the story of reading. We have to. Every child. Every year. Every classroom.